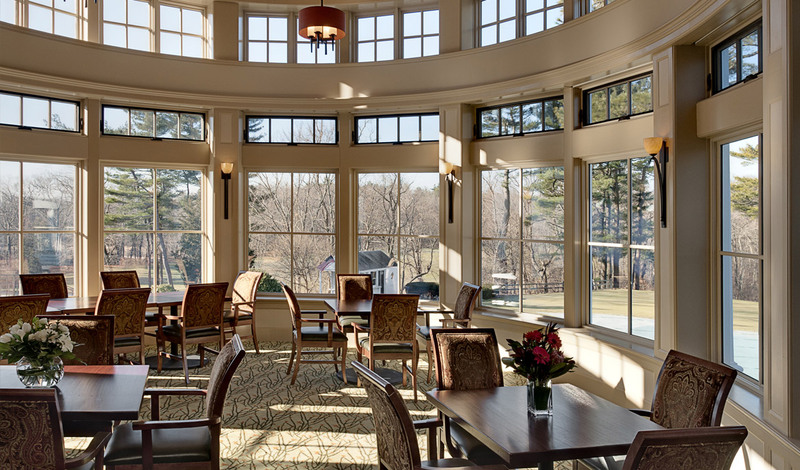 Since 1925, the Salem Country Club, Peabody, Massachusetts, has undergone several additions and alterations. Recently the members felt that the spaces had grown too formal and were not comfortable or up-to-date for younger club members. 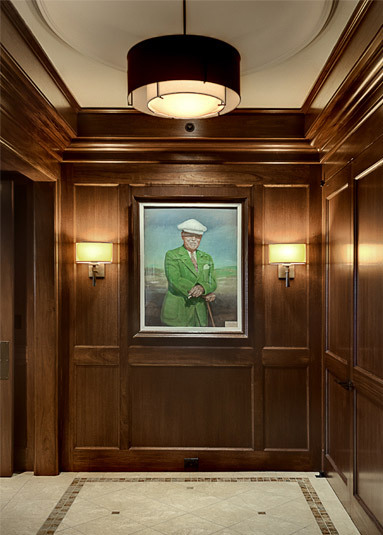 In 2010, TMS Architects was approached to design a renovation and expansion to the club’s existing Grille Room and Ross Room, appropriately named after the legendary golf course designer, Donald Ross, who designed the Salem Country Club’s course. 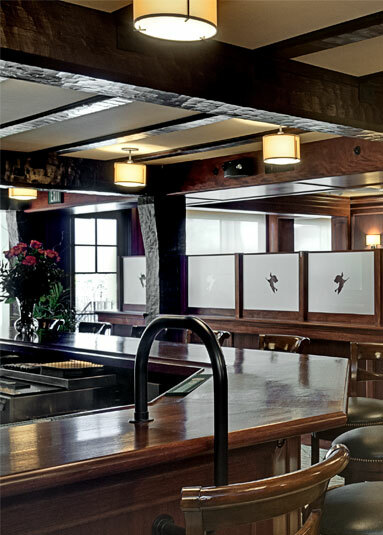 The challenge in this project was to forge a style that included casual dining and traditional clubhouse architecture. TMS accomplished this by separating the dining areas into a variety of flexible seating arrangements, each providing a unique view of the golf course. 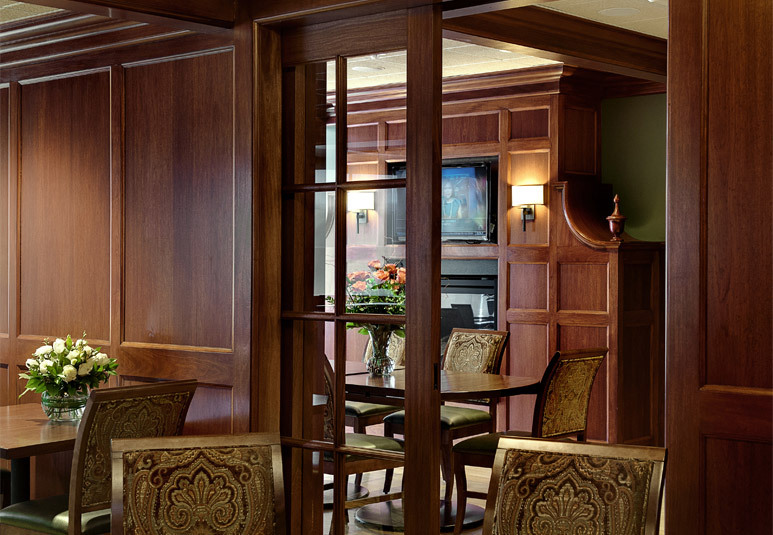 The dining room honors the club’s older architectural features while incorporating newer technologies such as wide screen TV’s and a flexible floor plan. 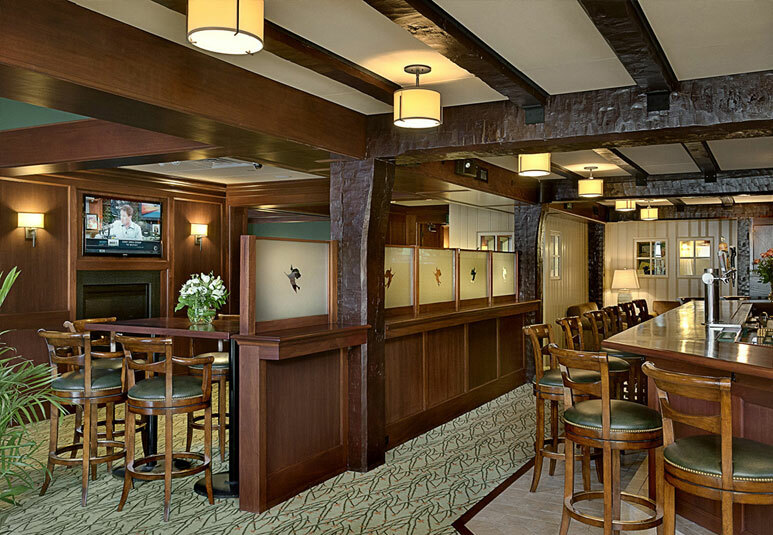 In the existing Grille Room, renamed the new Donald Ross Casual Bar and Lounge, the heavy timber construction is respectfully left exposed and replicated as the room was expanded to host the clubhouse’s main bar. Adjacent to the bar is the spacious Tower Room, where members have commanding views of the 1st tee and 18th green. Large picture windows along the Ross Room’s exterior washes the space with natural light and help define the details of the floor to ceiling Honduras mahogany trim and paneling. A separate function room is conveniently located at the end of the Ross Room with its own fireplace and TV, perfect for private gatherings. The main dining area and bar can be separated by the use of pocket French doors, providing a sound barrier, as well as the ability to conserve energy during the winter months. Utility spaces conveniently located throughout the dining facility for the serving staff. Service kitchen corridor located behind the bar. 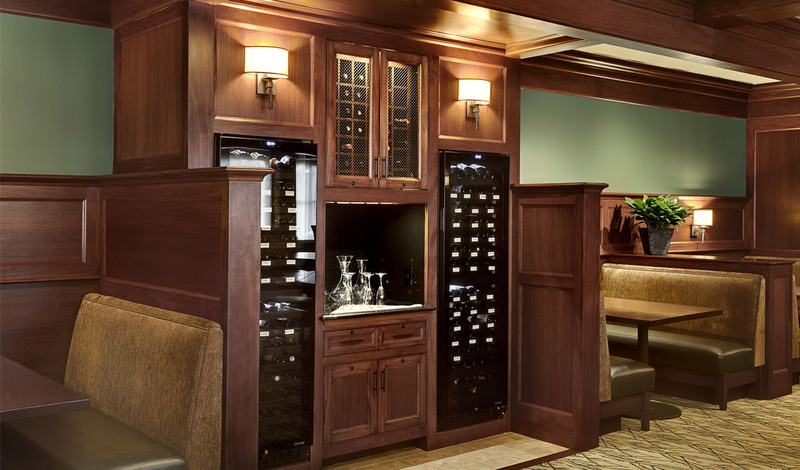 Built-in wine storage cabinet centrally located in dining room. Discreet wait staff stations to blend with surrounding architecture.